Nothing on here which could be regarded as Prog really. Just some standard (not even good) synthie pop music maybe to be compaired in parts to some later outputs by German KRAFTWERK but even them I use to consider as suspicious in regards of progressive music. This record here is to be recommended only for fans of cheap electronic pop. Sorry I can't make up my mind to rate more than 1 star, although I really do this hardly ever. Always failed to see what YMO is doing in our database, so being only moderately familiar with their music, I investigated further and rented what rating sites arguably consider their better album. The least I can say is that I was certainly not surprised by the music on this album. I suppose that in consideration of some of the electro-pop developed by certain German groups (like Kraftwerk) included on the site, YMO's inclusion can be justified by the "if X is in, why not Y?" theorem. But just be aware that YMO is only a pale copy of what the German groundbreaking pioneers did. The part of POP and songs that derived from Folk occupied the majority to the music character that was the main current for the market of the music of Japan in the 70's. The music of gradually diversified Japan had had an original route from which the music character besides Prog Rock and the culture had come out strongly since the latter half of the especially 70's. It is consolidated to have begun to contain diversity with rapid music character of Japan at the time of 1978 though movement concerning overseas music that temporarily visits Japan existed. Of course, the main current and the route that this band had caused of the home country made the situation that infiltrated asking neither the country nor foreign countries in having developed a social phenomenon and an original route in not only music but also Japan. The music of Japan at that time at the time of having been formed this band had the part that had occupied the market as POP only of Japan. Of course, a lot of bands that influenced it from overseas music including Prog Rock existed, too. And, there might have been respect where the import and export became active for the music of the band and the album, too. The movement of Punk Rock, New Wave, and the dance music where the flow of the market and the main current of the music of Japan was visited carried everything before one Japan to some degree of course. 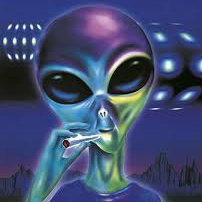 The flow will develop into the flow of techno and New Wave before long. A famous band will have been "Kraftwerk" in the part of techno till then. Of course, this band was made to introduce the computer and the sequence, too. And, it is said that the music character , for example, "Talking Heads" was contemplated. However, it was epoch-making to introduce state-of-the-art at that time, in musical of Japan machine parts. This band has been formed in 1978. The member of the band was taking an active part in the band in Japan that was on the register respectively. And, it is said that the nucleus of this band was completed by Bass player's Haruomi Hosono. 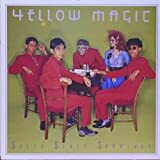 The concept of it was in the nucleus for the formation of the band was in the concept that was called "Yellow Magic" advocated as Bass player's Haruomi Hosono had already had it. It is said that it calculated the part where the gramary that the Japanese causes is expressed as music. They are announcing the debut album in 1978. This time was time when the arcade game had socially especially started becoming popular in Japan. Those social phenomena have been taken to their music characters. The flow that New Wave and techno are introduced into the market of the music of Japan was very reformative in the market. The beginning to which they had come to be known gradually in foreign countries was existence of producer's Tommy LiPuma. In a sense, it might also have had the fate and the contingency. It is possible to listen to the music character including the element of New Wave and Fusion in their debut albums. It is techno in the album that they do further. And, it came to be known as music of which the element of New Wave went out strongly. This album is announced in September, 1979. And, their debut albums are put on the market by exchanging Tommy LiPuma also in the United States in May in almost the same time. In Japan, the music character that this YMO had caused at this time had already wrapped Japan with the fashion. The history of their activities was an activity of about five years by the re-formation. However, the activity and the history gave a completely reformative flow. "Technopolis" is done as complete New Wave. Introduction..expression of feelings..melody..part.The melody has originality very much. In the market of the music of Japan at that time, introduced keyboard and synthesizer were reformative. Making the sound will imagine one space and city. The thickness is given to the tune by producing various sounds. The line and the sequence of Bass are steady. "Abusolute Ego Dance" gives an original music character that unites the music character in the region located in the south end of Japan. Decoration of metallic sound. Or, the introduction of Vocoder is also effective. As for the melody, I can extremely feel the culture of the Orient. Uniting the folk song of the dance music and Japan has originality. In the tune of YMO, "Rydeen" is one (Technopolis and a famous tune that queues up). The melody that there is expression of feelings in the repeated rhythm twines. It is said that Star Wars is one of the nuclei in this tune. Kon a very futuristic impression will be given. The sound in the effect of recollecting the arcade game might be also interesting. "Castalia" is a tune mainly composed of the piano. Making a very heavy melody and anacatesthesia has originality. It is said that the flavor of the progressive music was made a nucleus. There might be a few, ambient flavors, too. The rhythm is extremely monotonous. There is an impression mysterious making the sound of the synthesizer. The harmony of the melody and Chord that makes a complete, transparent feeling of "Behind The Mask" is impressive. The melody to get on a steady rhythm is very peculiar. The sense of Vocoder might be also effective. The anecdote has been left in this tune if it enumerates it as a point that should make a special mention. Quincy Jones that knew this tune had the plan to collect this tune to "Thriller" of Michael Jackson at that time. However, because both opinions had conflicted as a result about the problem of the copyright, this plan was not achieved. "Day Tripper" performs this famous tune very complexly. There might be a little inorganic flavor and a metallic impression. However, a famous melody and Riff have been left. "Insomnia" might unite with a part a little metallic melody enchantment. The melody that gives a mysterious impression to a steady rhythm is repeated. The sound of the synthesizer in close relation to a very heavy bass makes an original outlook on the world. As for "Solid State Survivor", the melody with the tension and the sound of the decoration are impressive. The synthesizer that produces the anacatesthesia might be a sound in which the age is caught. They are describing this tune by the name called a digital blowout. A metallic melody that maintains the dash feeling in close relation to the rhythm and the part of the song might include the part of complete New Wave. After announcing this album, they are daring the tour in foreign countries. Their music characters and the evaluations might have risen gradually a little while being acknowledged in foreign countries. Of course, their evaluations in Japan were one phenomena including respect of the fashion. A cheery and almost totally synthetic album in the same style as their first release the year before in 1978. Sounds great on headphones and is perfect music to cycle to. There's nothing too demanding - just a lot of cheesy late 70's synths playing happy music, which is something I don't own a lot of! It's not particularly cool sounding - and not one to play in front of a new girlfriend, that's for sure. Not unless you fancy being laughed at for half an hour and then dumped. 'Solid State Survivor' is very well recorded with good keyboard separation that is similar to the production values of the 'Human League's' 'Dare'. It's great to hear 'Behind the Mask' in it's true form before the miserable and decrepit Eric Clapton got his filthy guitar strings wrapped around it. A cover of the 'Beatles' Day Tripper knocks a point off this one as it sounds very tacky with some cod oriental vocals, mercifully it's over in a couple of minutes. Talking of being over in a couple of minutes this is yet another woefully short YMO album . 32 minutes for this one! They just seem incapable of breaking the 40 minute barrier. All in all though, it's a good album and I'm left thinking that Kraftwerk influenced a lot more bands than I was aware of. One thing I'm not too keen on is the Commie overtones of the front cover. Is that an attempt to promote Stalinism or what? Baah! 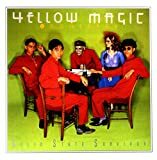 Solid State Survivor is a bit less satisfying than Yellow Magic Orchestra's debut album, but I still find it to be a decent listen. This time around, the pop in robo-pop is emphasized much more, and the funk and jazz elements from the debut are not present here. There isn't really anything too progressive about this album, or anything interesting either. Solid State Survivor is, for the most part, slightly above-par synth-pop; nothing stands out and nothing really works against it. 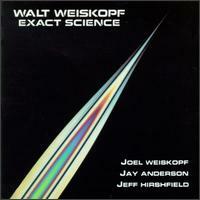 This whole album only sounds like a better version of Kraftwerk's Electric Cafe, which doesn't really say much, I guess. Not prog, but still is one of the only '80s albums that I can enjoy at least a little bit. It's sad that this album had to be the follow up to very awesome selt-titled debut. Whilst their contemporaries Kraftwerk were pioneering an icy-cool brand of synthpop suitable for robots and cyborgs, Yellow Magic Orchestra's second album finds them examining ways in which electronic music can have a human heart. The emphasis more on cutting-edge synthpop, with the primitive computer game jungles from the debut being scrapped, and the band even turn their hands to a Beatles cover in the form of a sedated-sounding take on Day Tripper. Got a good reason to listen? Oh, most certainly, because this release finds the Yellow Magic Orchestra graduating from the one-off Ryuichi Sakamoto-led lark of the debut album into a true band effort. 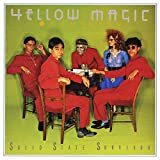 Post a review of YELLOW MAGIC ORCHESTRA "Solid State Survivor"